An Update on Clay Aiken and Celebrity Apprentice!! We learned…well, we have a rumor alert! It has been reported that Clay survived another boardroom! Also, it is rumored that Clay might be the Project Manager on Monday! Calling all troops! He just may need some assistance! AGAIN!! This is all rumor, but seems credible!! it is still snowing in NYC. Does that count? More than 35 million pounds of candy corn will be produced this year. That equates to nearly 9 billion pieces –enough to circle the moon nearly four times if laid end-to-end. 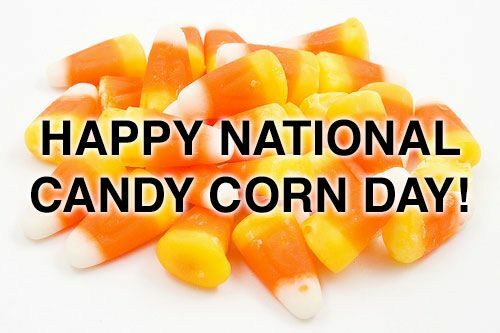 Candy Corn was invented by George Renninger and produced by the Wunderlee Candy Company in the 1880’s. In 1900, the Goelitz Candy Company, now JellyBelly Candy Company, started mass-producing the candy, but, due to lack of machinery, it was only made available seasonally from March to November. Its recipe has remained unchanged. 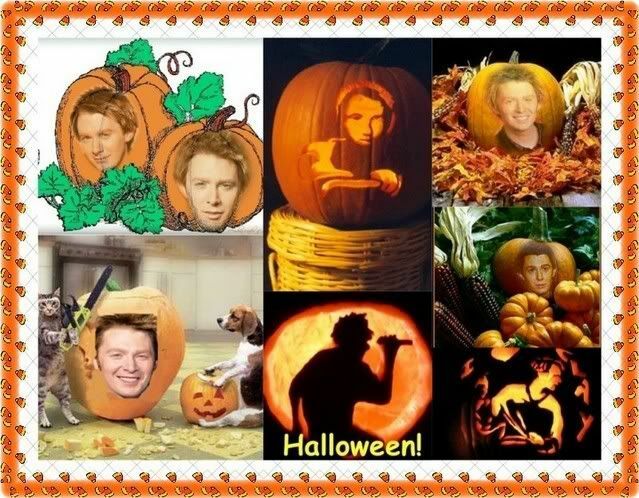 At least we know that Clay Aiken can eat Candy corn without an allergic reaction. I wonder if the younger member of his family has had Candy Corn yet?? 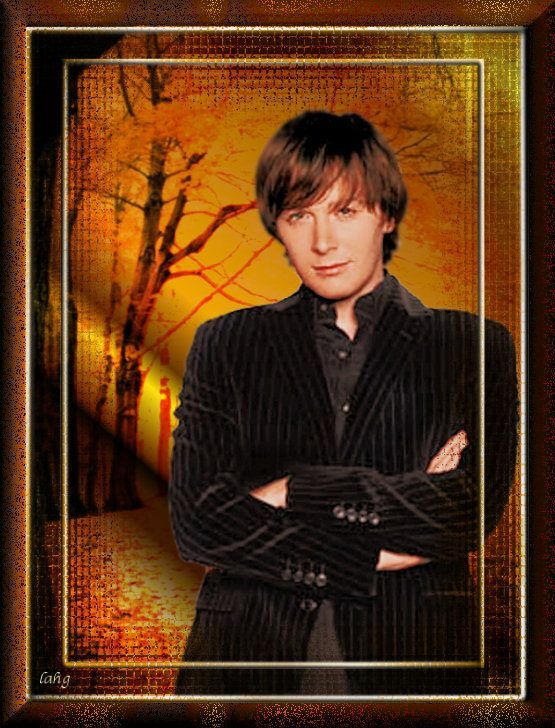 There are so many talented Clay Aiken fans. The following are a few of the Halloween art projects that have been put together by these amazing people. Many thanks to all of them for sharing their talent with the rest of us! 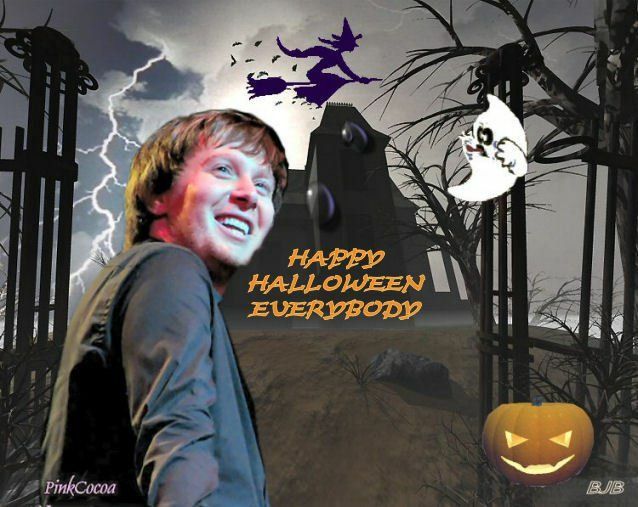 I love all the Halloween pics. I'm very excited and really nervous about this rumor. GO CLAY GO! Oh my to the last pic, I'll take the treat thanks. Yeah Clay! All the way! Is it time to set my dvr for the entire season of CApp? Can't miss an episode with Clay!! Another thing we know for sure is that Clay is the best singerman out there and, of course, intelligent, hardworking, centered, productive and a leader. All the traits need for an outstanding PM. Go Clay. 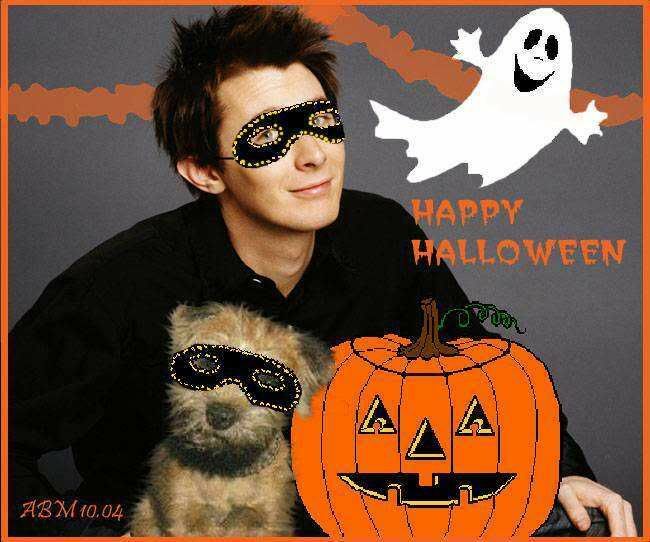 Thanks to all the talented folks who dressed Clay up for Halloween. Love those pics. I’m keeping my fingers crossed for Clay on Monday. My stomach is full of butterflies with excitement and nerves. My fingers are crossed as well. Yessss….I heard the rumor of Clay maybe being PM on Monday…or there abouts. Go Clay Go! Hope we can all help in some way. I love Candy Corn..and now that I know that it has less calories, I guess I can eat a few pieces. Loving all those pictures of Clay…especially #1 and the last one. Been following everything going on…and it is so exciting and nerve racking at the same time. Error: Error validating access token: Session has expired on Tuesday, 21-Aug-18 16:13:01 PDT. The current time is Wednesday, 24-Apr-19 01:51:42 PDT.